Bachelor's Degree in Fine Art from the University of South Florida. Studied in Paris, France and Venice, Italy. Current exhibitions consist of New York City Times Square and multiple exhibitions in Sarasota, Tampa, and Venice FL. 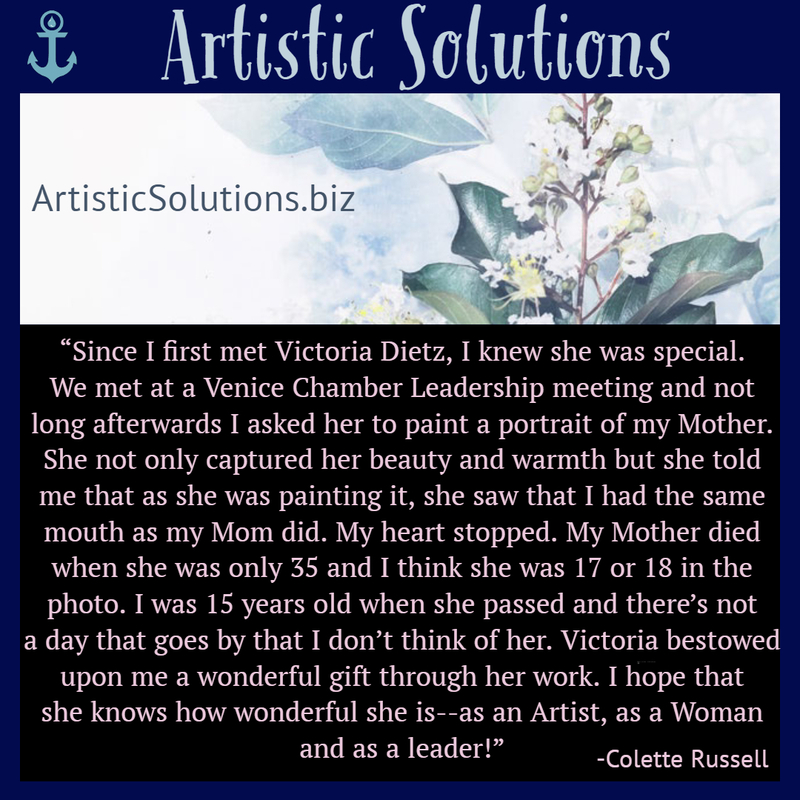 Artistic Solutions meets one on one with local businesses and finds creative ways to solve their business needs. We offer monthly website maintenance, social media presence, logo design, fine art, murals, photography, cabinet design layouts and a lot more. It all depends on your specific needs, so contact us today and we can meet and discuss what your business needs the most.